Ordinary Level examination is one of the milestone in Sri Lankan Education sector. 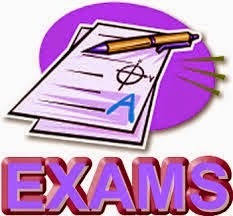 Pass GCE Oridinary Level examination is must for enter in to Advanced Level and to have better future in career path. So It is mus to Pass GCE OL at any matter. Following are G.C.E. O/L Science past papers which get form various sites and I am plan to post more and more past papers of Sri Lankan G.C.E Ordinary Level and Advanced Level Examination.